If you've just completed your Easter egg coloring, perhaps it's time to restock your pantry with some Watkins Natural Food Coloring / Colouring. 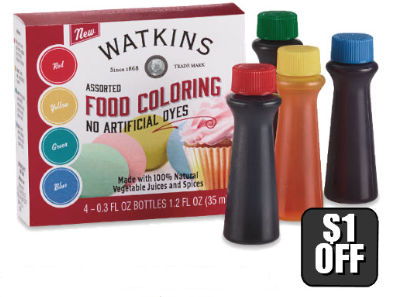 Watkins Natural Food Colorings are derived from pure vegetable juices and spices and are naturally free from artificial FD&C colors and, for the final few days of April, they are on sale at our Watkins Online Store! Watkins Toilet Bowl Cleaner, Laundry Detergent and Multi-Purpose Degreaser are Back in Canada! 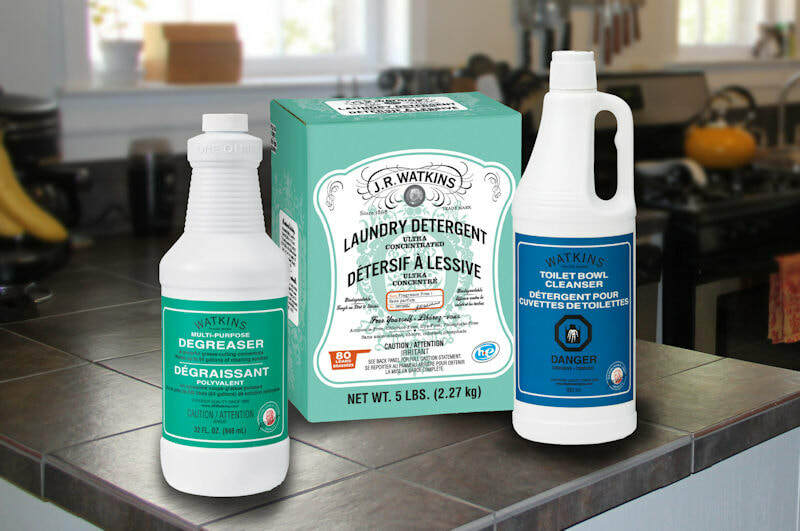 We are pleased to announce that the J.R. Watkins Company has re-evaluated their decision to discontinue the Toilet Bowl Cleanser, Degreaser, and Laundry Detergent in Canada. 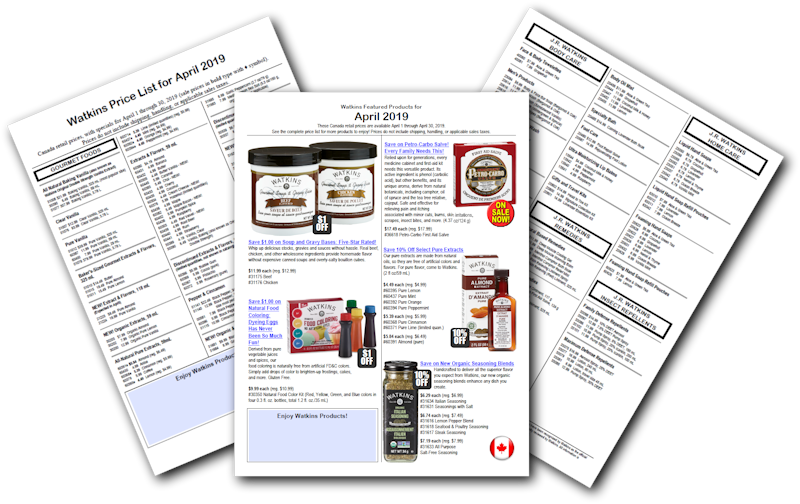 While we have not yet received an estimated date for when these products will return, we are excited that at some point in the future Watkins Consultants and Customers in Canada will be able to enjoy these great products again. 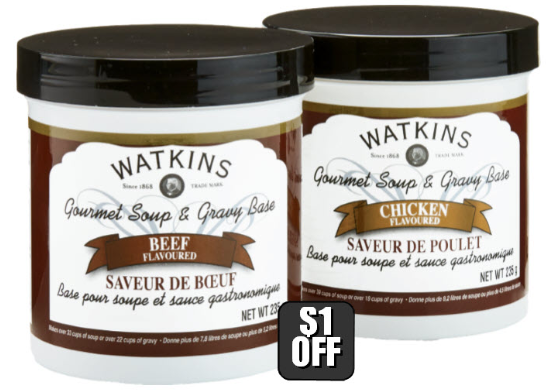 Watkins Soup and Gravy Bases on Sale this Month! Just a quick reminder that our always popular Watkins Soup and Gravy Bases are on sale this month at our Watkins Online Store! 10 Great Reasons to Become a Watkins Consultant in April! Watkins is giving you 10 more great reasons to become a Watkins Consultant in April! If you become a new Watkins member during April, 2019 you will only have to pay $19.95 for your first year's membership, a savings of $10! 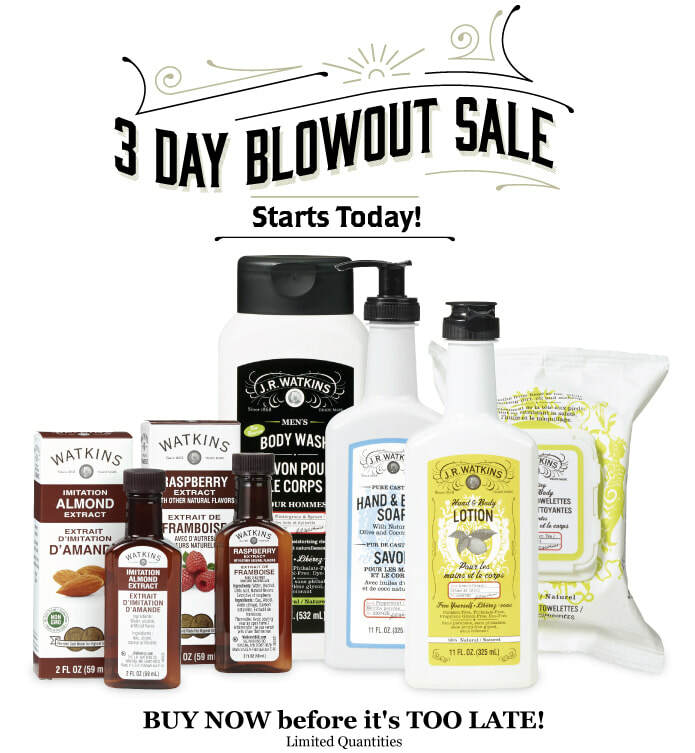 Three Great New Organic Products Launched Today! Seventeen wonderful new Watkins Products are launching this spring and several are available to order now! Watkins Insect Repellent Now Available! Just in time for spring, the majority of the most popular Watkins Insect Repellents are now available to order in Canada! then click the red link that says "Click here to begin shopping." 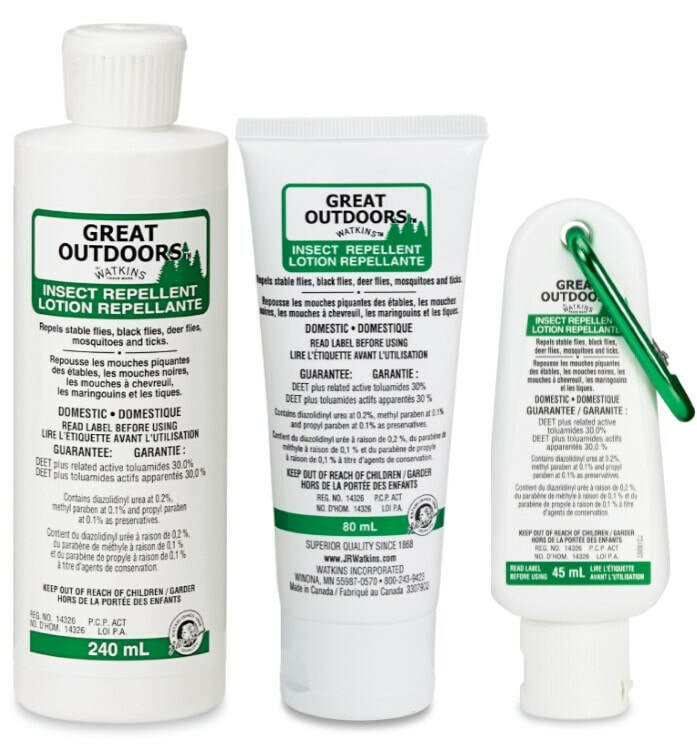 Demand for the Watkins Insect Repellent is always high and these products generally sell out for the season pretty early so we recommend ordering as soon as possible. 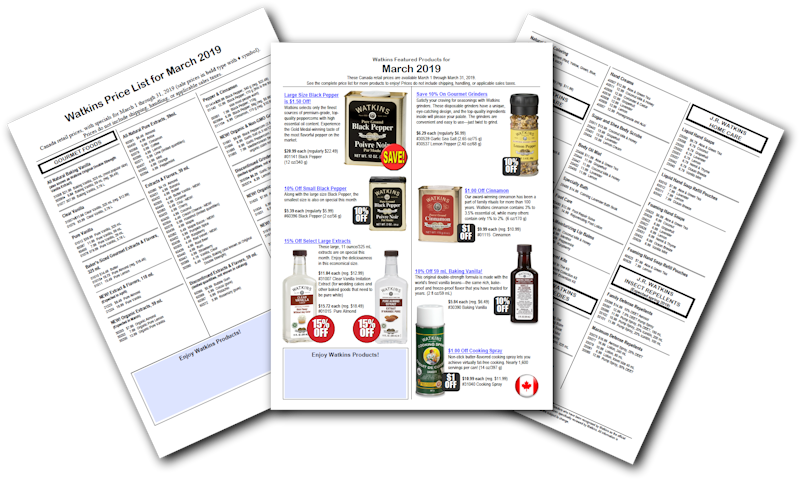 The JR Watkins monthly specials for March, 2019 have been published and we have a great selection of our most popular items on sale this month! Oh Canada! 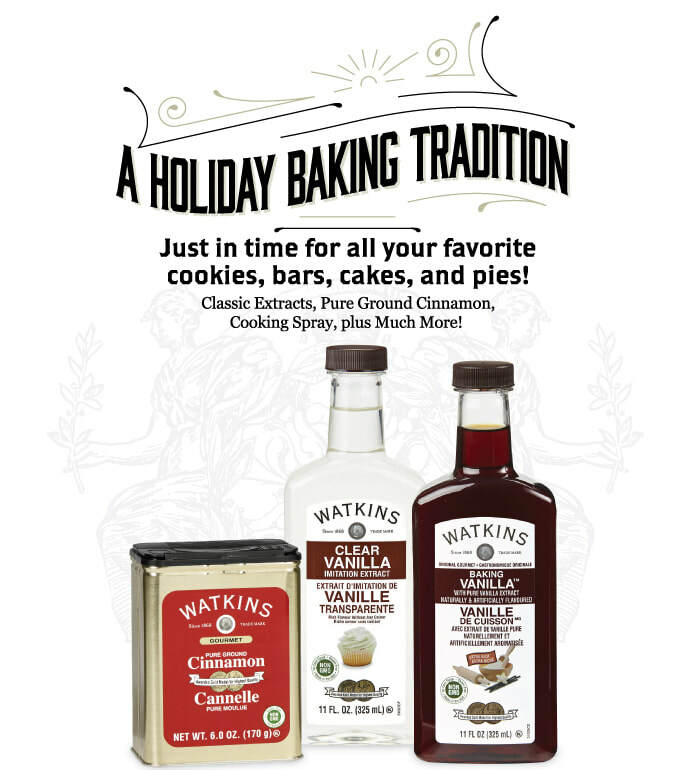 Watkins Baking Vanilla is on Sale! Here's something special, just for Canada! 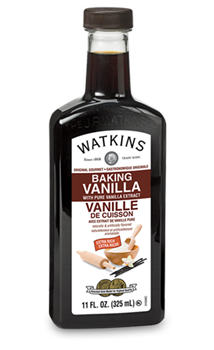 Starting now and running until the end of February, Watkins is putting the top selling 325 mL Double Strength Baking Vanilla on sale for 15% off the regular price! This previously unannounced sale starts today, Saturday, February 16 and runs until the end of the month on February 28. While Watkins feels there is plenty of stock available, please remember that if there is more sold than expected, it is possible that it may run out before the end of the month. Please order as soon as possible as you would not get the sale price once it returned to stock in March. 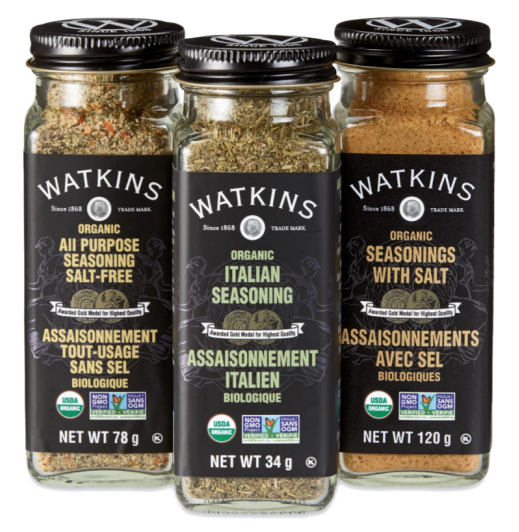 New Watkins Organic Spices Now Available! New Watkins Products Coming Soon! 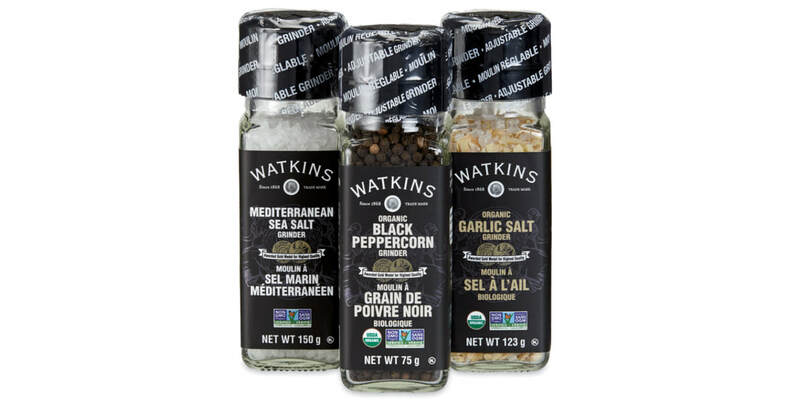 During the 150th birthday celebration back in September, Watkins announced the focus on new gourmet food products for 2019. Here is some preliminary information on 17 new Watkins gourmet food products that are launching during the first half of this year. ​More ordering information will come as the products become available, but we want you to see the great things coming over the next few months! 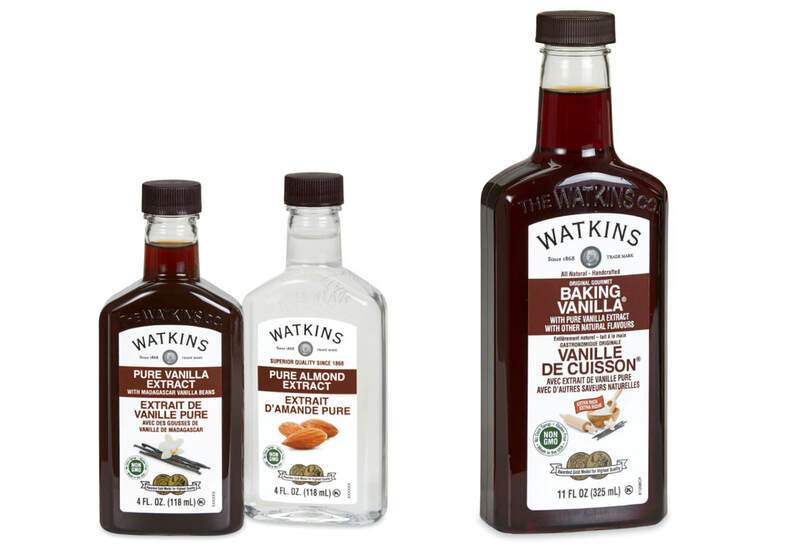 Perhaps the biggest announcement is the change coming to the top selling Double-Strength Baking Vanilla Watkins will be transitioning all sizes of the current Baking Vanilla into the new all-natural formula. This new Baking Vanilla is the same double-strength formula you've trusted for years - only now all natural! Watkins Consultants are rewarded well for their efforts through retail profits and achievement level bonuses. ​By combining Watkins incredible history of being in business since 1868, our high quality products, and lucrative compensation plan, this may be a wonderful opportunity for you. The more folks you help discover Watkins Products and the Watkins Home Business, the greater will be your rewards. We are very excited to announce the new "Win Free Vanilla" monthly promotion where we’ll be giving away two Watkins Products Assortments valued at approximately $100 each! In addition, when you enter the drawing, you will be given a personalized link you can share with your friends. If your friend wins, you will also win a matching prize! The more friends you help enter, the more chances you have to win! We’ll share stories about winners, recipes using Watkins products, testimonials about Watkins home business success, and more! To enter or to review the contest details, click here. 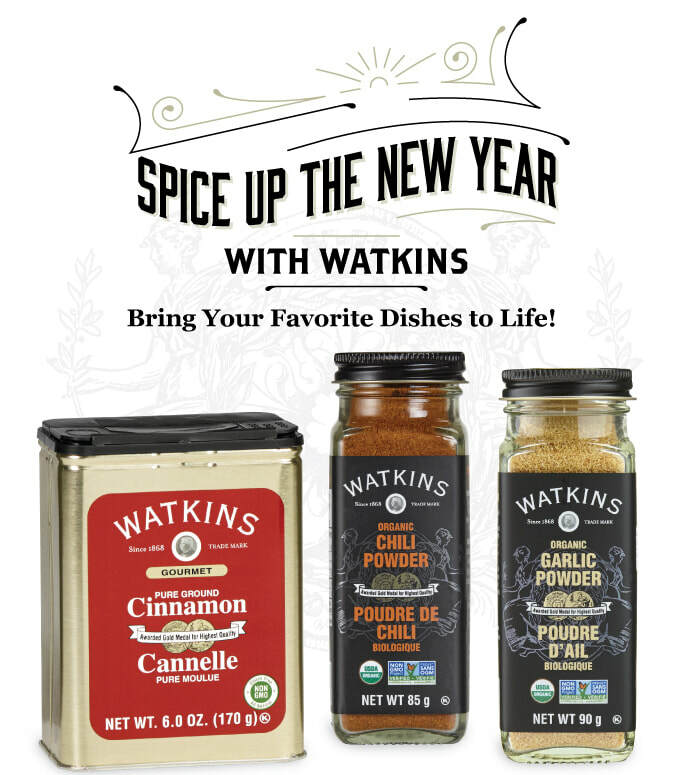 ​From our 1928 Gold Medal-winning performance at the International Exposition in Paris through today, The Watkins Co. brings you the very best spices from around the world. We continue our tradition of excellence with the launch of our New Organic Spice Line. Sourced from the highest quality organic herbs and spices, our New Organic Spice Line brings your cooking to life. 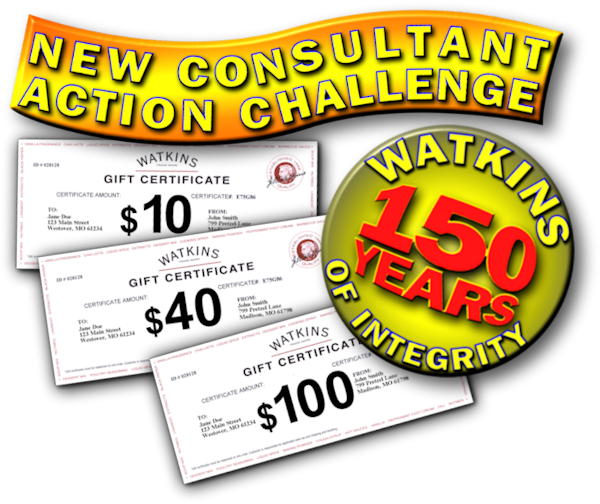 TWO Great Reasons to Become a Watkins Consultant in January: "Pay for 2 years and get $60 Certificate" and "New Consultant Action Challenge!" Whether you'd like to improve your finances, pay off some holiday bills or just meet a group of wonderful new people, January is always a good time to join Watkins. Now, there are TWO more huge reasons you should become a Watkins Consultant before the end of the month! Made with the world’s finest vanilla beans, our Baking Vanilla Extract is the original double-strength formula designed to hold-up to baking and freezing. With extra rich flavour this extract enhances everything from chocolate chip cookies to cakes with premium flavour. 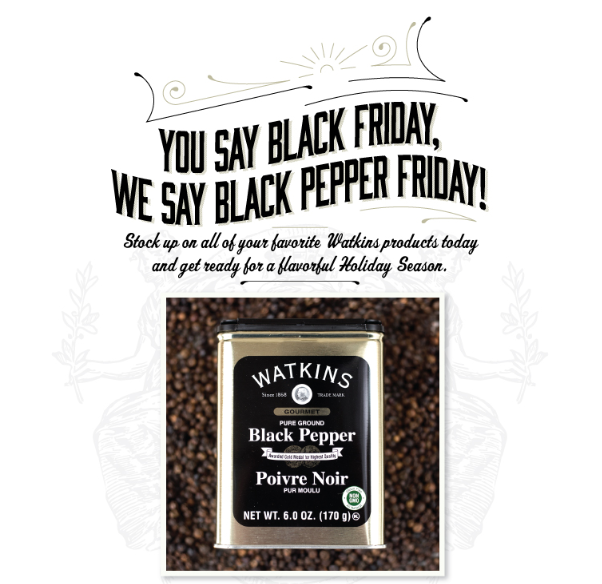 While everyone else is having Black Friday sales, we're calling it Black Pepper Day. Drop by our JR Watkins Online Store for great savings on Lemon Pepper Grinders and much more! 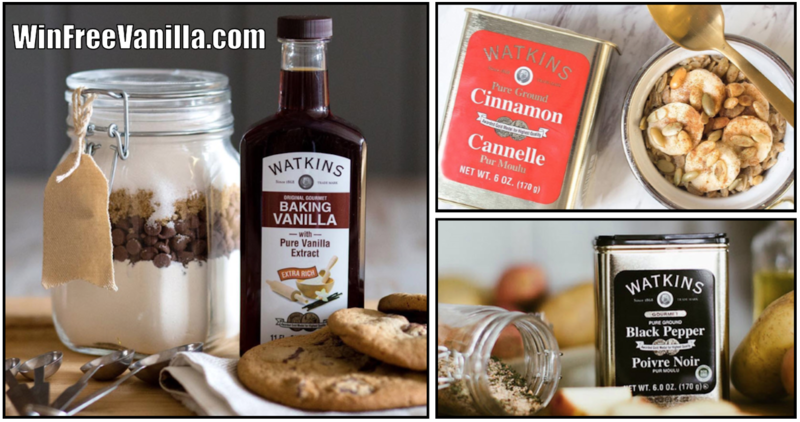 Some of our most popular JR Watkins Products are on sale in November including Baking Vanilla and Cinnamon when you shop our online store in November. 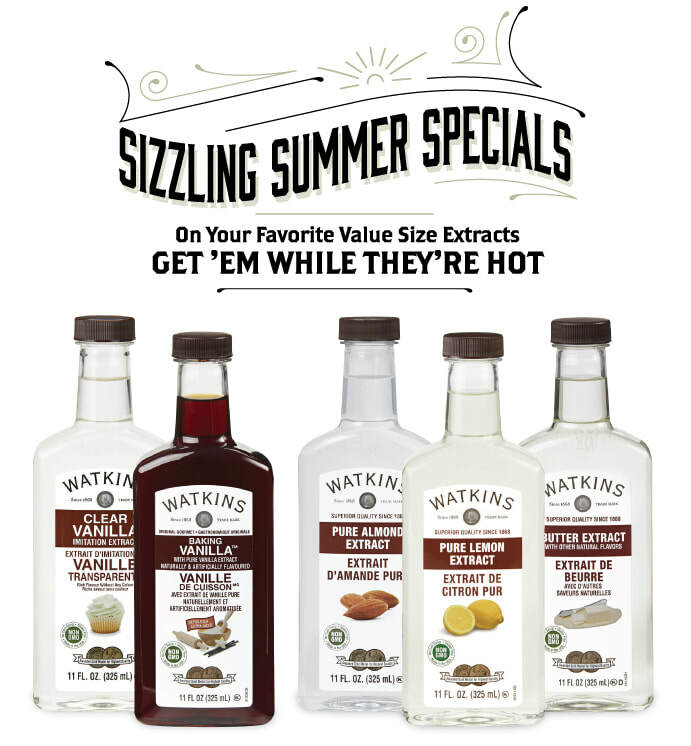 July is always a great time of year to become a Watkins Consultant and improve your finances by selling Watkins Products. And now, there are TWO more huge reasons why now is better than ever! 1. You'll Get Your Second Year of Membership FREE! When you join our team during July 2018 you will get your second year of Watkins membership free! Your initial $29.95 membership usually just covers the first year (with $29.95 membership dues each year). But when you join in July you'll get your second year free—your membership won't expire until July 2020! What a nice 2-for-1 special to help you get off to a good start. 2. 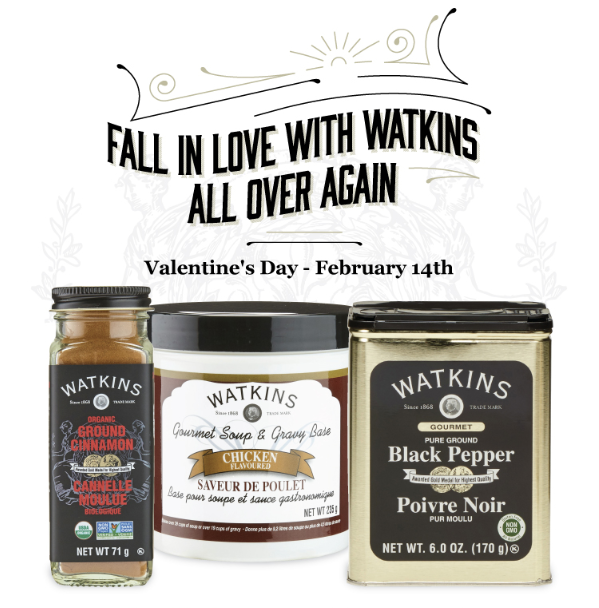 You Can Earn Up to $150 in FREE Watkins Food Products! The "New Consultant Action Challenge" is also continuing through July and August. 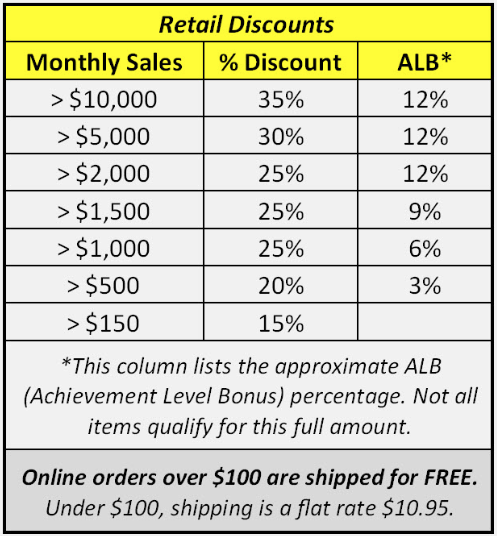 As a new member, that joins in July you are eligible to qualify for this promotion as well. Visit our Home Page to learn more about how to become a Watkins Consultant and How to Sell Watkins Products. The JR Watkins monthly specials for July, 2018 have been published and we have a great selection of popular items including BAKING VANILLA! 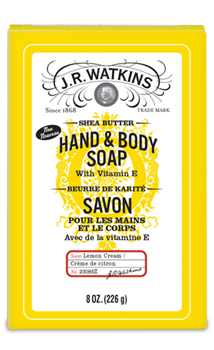 We are proud to announce our newest JR Watkins Shea Butter Hand & Body Soap fragrance - Lemon Cream! Our Shea Butter Hand Soaps offer essential head to toe moisture in your favourite signature scents including our newest Lemon Cream. These soaps are made with naturally gentle cleansers and moisturizing Vitamin E. - Free from dyes, sulfates, and preservatives and are 98% natural. Now you can refill any liquid soap pump dispenser with J.R. Watkins new economical and environmentally-responsible value size Liquid Hand Soap Refills. 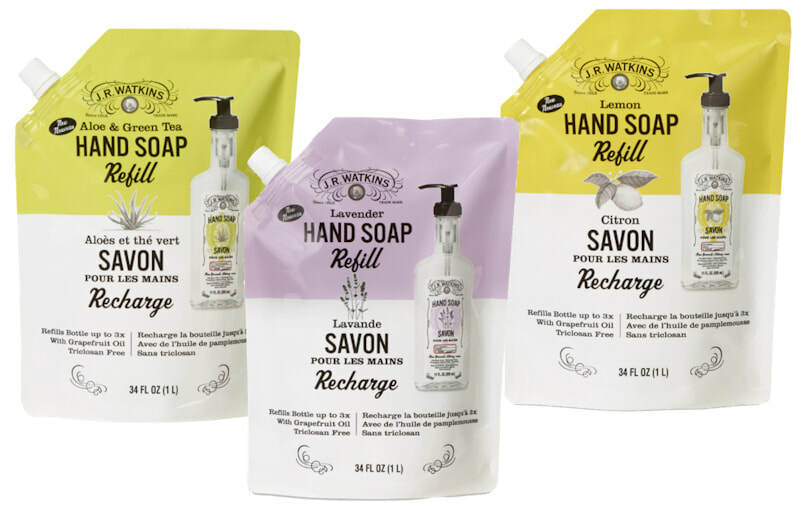 Our liquid hand soap leaves hands soft and clean with an invigorating, clean scent. The JR Watkins monthly specials for June, 2018 have been published and we have an amazing selection of our most popular items on sale! If ever there was a month to stock up on some favourites, June is the month!